Eagle's Landing: 5 bed / 2 bath. 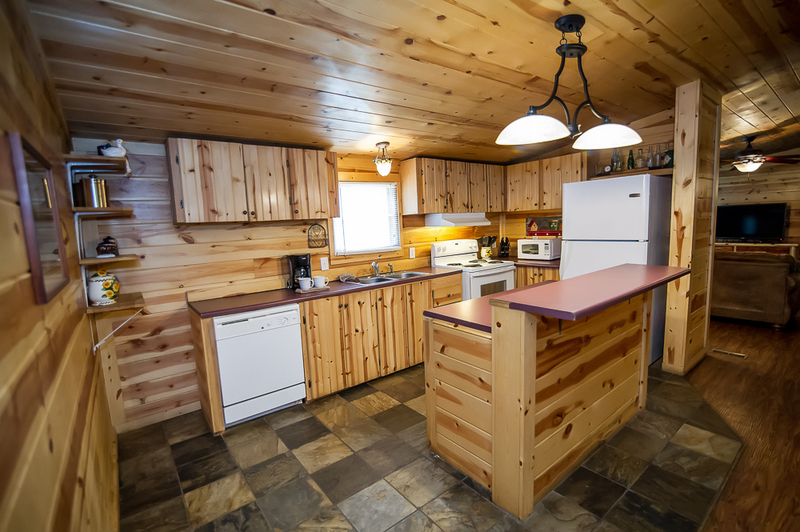 Sleeps 14. 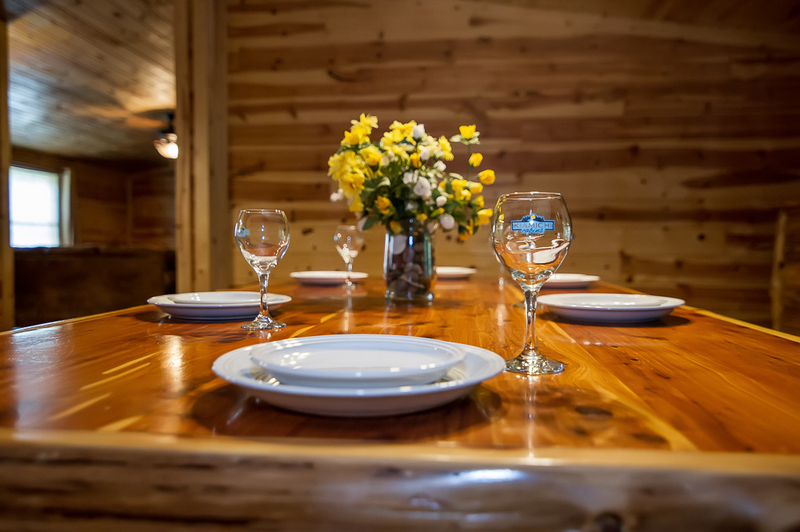 Eagle’s Landing is a large 5 bedroom cabin with a spot for the entire family. 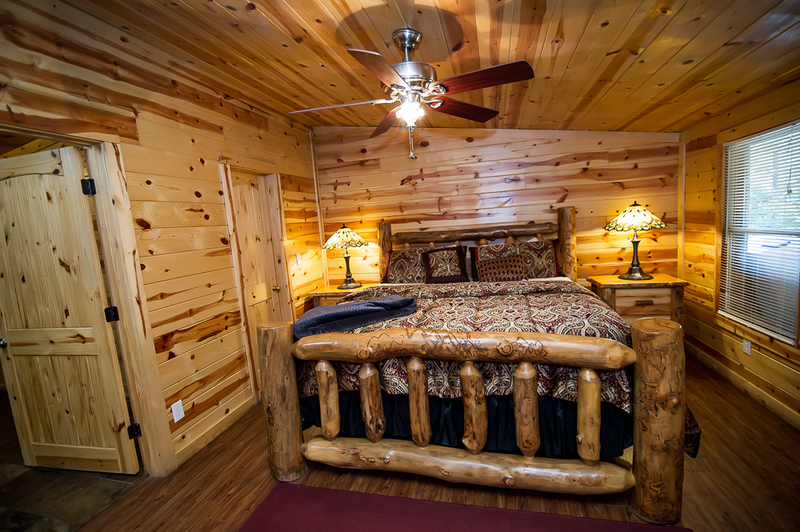 Sleeping up to 14 people on 1 king bed, 2 queen beds, 2 bunk sets and a pullout sleeper, this cabin makes family reunions easy. And with that many people, random moments of fun are bound to happen, and Eagle’s Landing is ready! Start with the open game room and living room where you can enjoy a shoot around of pool while everyone watches a movie or the big game. With large groups, outdoor areas are the key – Eagle’s Landing provides a huge covered deck for everything from early morning chats to late night laughter. Just around the corner, under its own covered deck area is a huge hot tub ready for some relaxing. Off the deck is a great little fire pit where the kids – and kids at heart – can gather for ghost stories while roasting hot dogs and making s’mores. 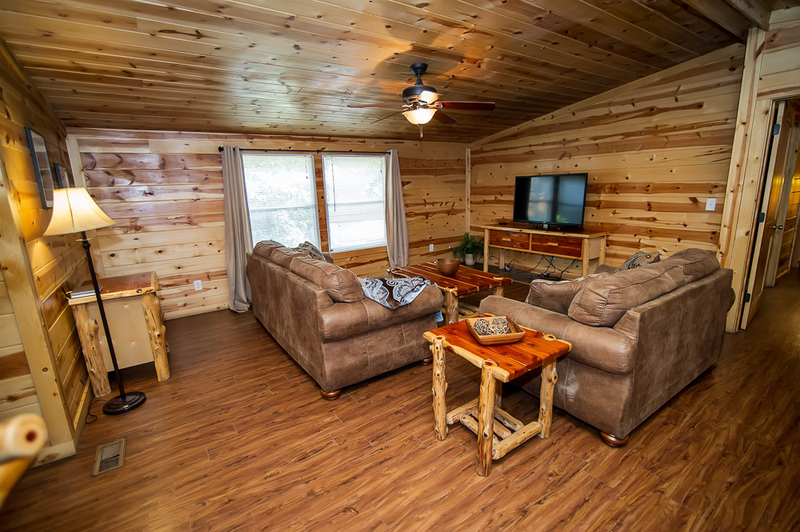 Located in the heart of Hochatown – Eagle’s Landing is just minutes from the region’s top fly fishing stream, Beaver’s Bend State Park and Broken Bow Lake. If you aren’t in the mood to fix dinner in the ready to cook kitchen or on the grill, then you just need to go a couple of miles to find several restaurants, many with live music. 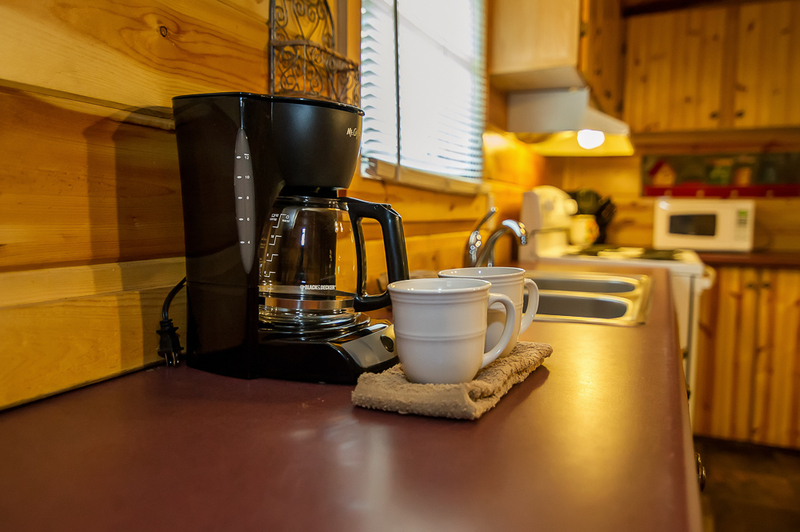 The cabin has an easy access parking area, but may not be large enough for some trailers. If you do not feel comfortable parking a trailer here, you are welcome to leave it at our office on a first come, first serve basis – space is limited. This cabin is pet friendly. Guests may have two (2) small dogs with a $20 per night non-refundable pet fee. All dogs must be kenneled if left alone in the cabin. Pets are not allowed on the furniture or in/on the beds otherwise additional cleaning fees may apply.